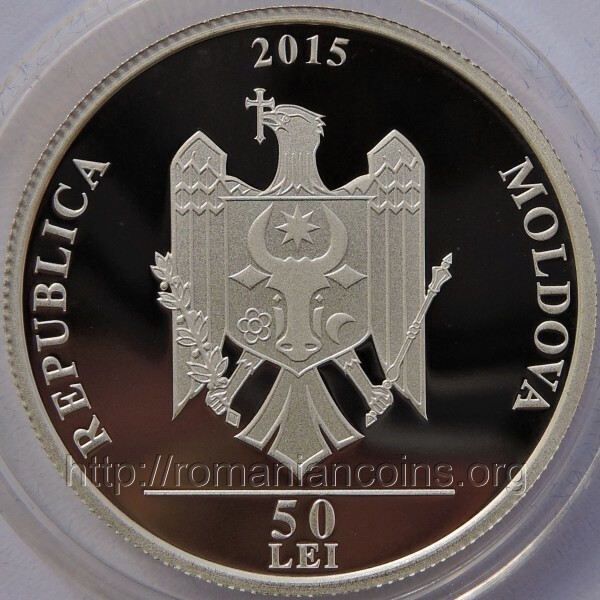 year 2015, circular inscription REPUBLICA MOLDOVA meaning "REPUBLIC OF MOLDAVIA" and the coat of arms of the Republic of Moldavia, in exergue horizontal line and denomination "50 LEI" an image of the actor, masks of Comedy and Tragedy, as symbols of the theatre, years 1915 and 2003 written as fraction, circular inscription "CONSTANTIN CONSTANTINOV"
The coin belongs to the series "Personalities". 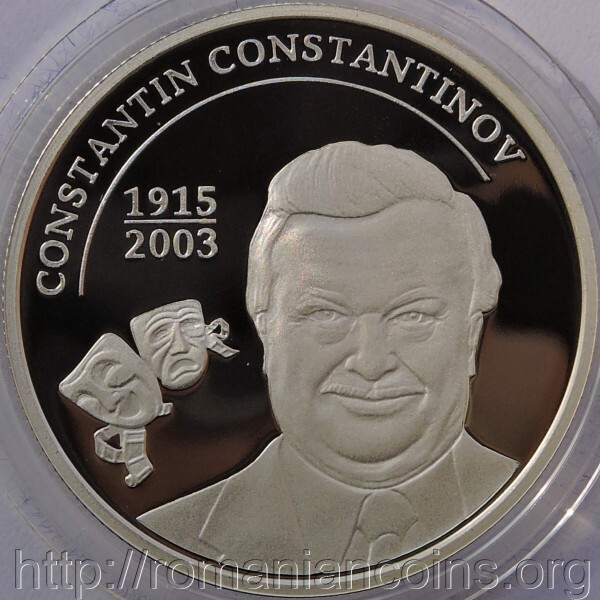 Constantin Constantinov was born in 1915 at Sucleia, on the left bank of River Nistru. Between the two World Wars Constantin Constantinov has studied at Tiraspol and afterwards at Odesa, in Transnistria.